Fire departments on Oneida Nation of the Thames and Chippewas of the Thames First Nations are working to improve their services in a bid to raise the number of volunteers and make their communities safer. This statistic and other grim realities of tragic fires have both fire departments working to improve their services by recruiting new adequately trained recruits. A training program being offered by the Six Nations Fire & Emergency Service Training Academy and the Ontario Firefighter Society is helping with that. 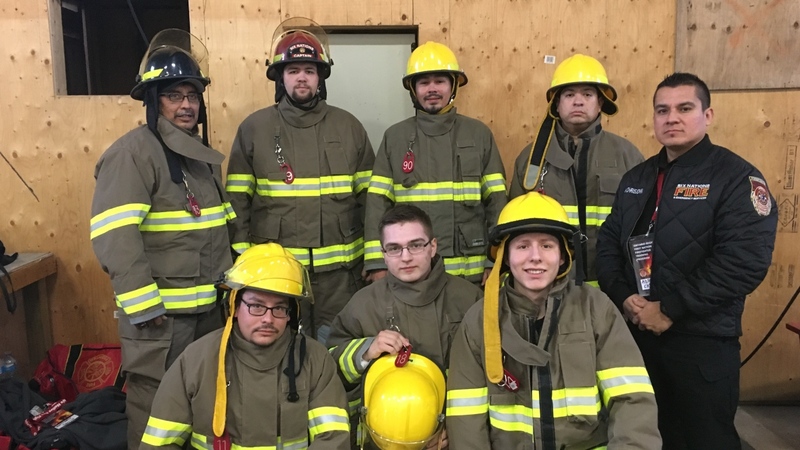 Four volunteer firefighters from Oneida Nation of the Thames and three from Chippewas of the Thames First Nation are taking part in an Ontario Region First Nations Firefighter Training Program. The training program was first offered last year for the northern fly-in communities. This year the focus is on Ontario region communities. Adrian Chrisjohn is helping to train the students and said there are a record number of 40 students participating in the program. “The goal is to train them to basic firefighter level and get them to take those skills back to their own communities and grow on it,” said Chrisjohn. Wesley George from Oneida has been a volunteer firefighter for his community for the past five years. He’s attending the training to enhance his firefighter skills. George finds being immersed in a firefighter’s life for 24 hours is a great hands-on experience. As part of the training, his platoon went on a midnight fire call and then another early morning call with the Six Nations Fire Department. They attended the calls in addition to their regularly scheduled training. “Not a lot of rest, but you get that experience of a full-time department. I think we got about three hours of sleep that day,” said George. Matthew Henry-Riley is new recruit of the Chippewa Fire Department. He happened on the program by chance after a mentor from his community told him about it. He feels the training is pushing him to be a better person. “The training is really good, really intense, [we are getting] a lot of knowledge from the instructors, a lot of hands-on training. It pushes you to your limits, it’s a really good program,” said Henry-Riley. And the positive support he is receiving from his community is pushing him to work that much harder. In Oneida there is “a low turnout of volunteer firefighter to actual emergency calls. It is getting dangerously low as far as the support and as far as the volunteers, and actually finding people that want to do this job.” said Chrisjohn. The Chippewa Fire Department currently has 15 volunteer firefighters, but needs at least 25 to have enough to respond to calls. The lack of volunteers means the department is short-staffed. Deputy Fire Chief Tyler Kechego.agrees that being a firefighter is demanding and not for everyone. 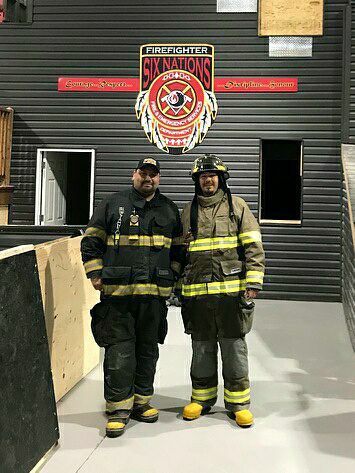 Both Chrisjohn and Kechego are glad the training program has been made available as it will result in more experienced firefighters serving the Oneida Nation and Chippewa of the Thames communities. Ashley Albert is from Chippewas of the Thames First Nation. 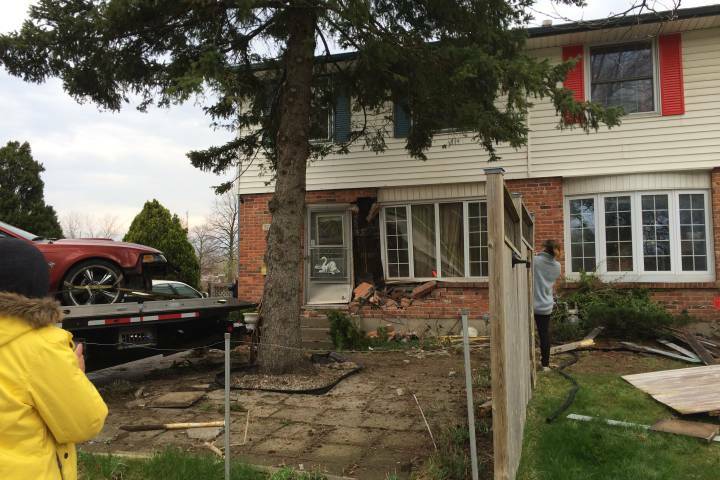 She is an intern from Fanshawe College where she is currently studying public relations and corporate communication. You can reach her at ashley.albert@cbc.ca.